The first symptom of kidney disease is it changes the amount, frequency of your urination. There may be an increase or decrease in amount and/or its frequency, especially at night. It may also look more dark colored. You may feel the urge to urinate but are unable to do so when you get to the restroom. Sometimes you have difficulty or feel pressure or pain while voiding. Urinary tract infections may cause symptoms such as pain or burning during urination. When these infections spread to the kidneys they may cause fever and pain in your back. This is a symptom of kidney disease which is a definite cause for concern. There may be other reasons, but it is advisable to visit your doctor in case you notice it. Your kidneys produce a hormone called erythropoietin which helps make red blood cells that carry oxygen. In kidney disease lower levels of erythropoietin causes decreased red blood cells in your body resulting in anemia. There is decreased oxygen delivery to cells causing generalized weakness and extreme fatigue. Anemia associated with kidney disease also depletes your brain of oxygen which may cause dizziness, trouble with concentration, etc. If you have kidney disease you may feel cold even when in a warm surrounding due to anemia. Pyelonephritis (kidney infection) may cause fever with chills. 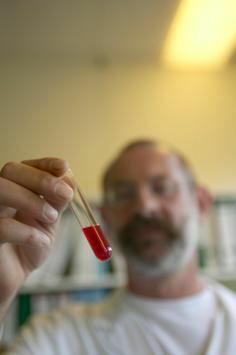 Kidney failure causes waste build-up in your blood. 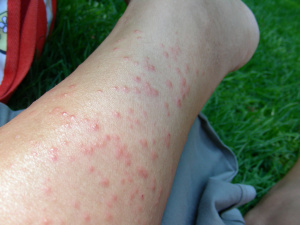 This can causes severe itching and skin rashes. Kidney failure increases level of urea in the blood (uraemia). This urea is broken down to ammonia in the saliva causing urine-like bad breath called ammonia breath. It is also usually associated with an unpleasant metallic taste (dysgeusia) in the mouth. The build-up of waste products in your blood in kidney disease can also cause nausea and vomiting. Kidney disease causes fluid to build up in the lungs. And also, anemia, a common side-effect of kidney disease, starves your body of oxygen. You may have trouble catching your breath due to these factors. Some cases of kidney disease may cause pain. You may feel a severe cramping pain that spreads from the lower back into the groin if there is a kidney stone in the ureter. Pain may also be related to polycystic kidney disease, an inherited kidney disorder, which causes many fluid-filled cysts in the kidneys. Interstitial cystitis, a chronic inflammation of the bladder wall, causes chronic pain and discomfort.